SWECal Magazine is an online magazine devoted to everything Swedish in Southern California, particularly the Los Angeles area. SWECal Magazine also aims to tell stories about this exciting, intriguing, impossible-to-pin-down city and about the people who call it their home. For now, most of the content is in Swedish, but we certainly hope to do better in the future. You will find a few articles in English under the “English” heading. 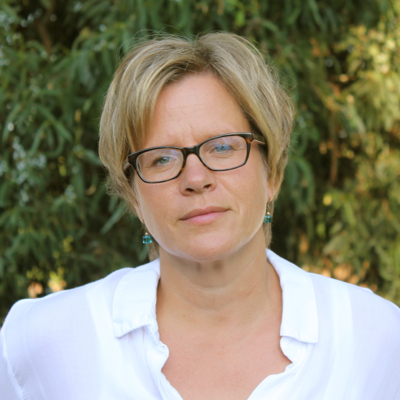 SWECal is published by me, Ingegerd (or Ingrid) Landstrom, a Swedish freelance writer living in the Los Angeles area. Together with my Angeleno husband and our three kids I moved here from Sweden some 10 years ago. I soon found the sunshine and the people to be quite addicting. I have a background in research, more specifically the field of Human Geography, and I have my PhD from Uppsala University in Sweden. For my freelance writing, I am interested in everything related to environment and sustainability, politics, literature and culture. I enjoy writing profiles about all sorts of interesting folks and there’s a special place in my heart for urban gardening. I welcome your creative comments about SWECal, please feel free to email me at editor@swecalmagazine.com. Thanks for getting in touch.I´ll be happy to advertise the Midsummer celebration and I´ll check out your website for info. Thank you Ingrid ….I hope you can get a chance to come up to the park – if you do, please ask for Kin Lindgren, Ann Heinstedt or Dorothy Burns….